Determining Spousal Maintenance in Washington State - Can I Calculate Alimony Payments? Spousal support, spousal maintenance, or alimony—how much will you owe your ex after your Washington State divorce, or how much will they owe you? Spousal maintenance is often a common source of confusion and worry during the divorce process. When there is an income or asset inequality between partners, or one partner has been reliant on the financial support of the other, spousal maintenance allows you to recover financially after the marriage is over. However, spousal maintenance is not guaranteed in the State of Washington, and the court will review each case based on merit. It’s important to have a good idea of what your spousal support will be and what your financial situation will look like following your split. In Washington, the amount you give (or receive) in alimony depends on a number of factors. How long were you married? You may not be eligible for spousal support if you were only married for a short time—less than two or three years. You may be eligible for long-term spousal support if you were married for longer than two decades. Shorter marriages are less likely to result in maintenance payments. Do you have dependents? Spousal support may rise if one person is the primary caregiver to young children and must stay home from work. What are your income, assets, and expenses? Spousal support is designed to allow your husband or wife to continue to live the same lifestyle as during your marriage, at least for a limited number of years. This includes any separate property and community property, as well as your ability to independently support yourself and any children you have. It also includes any financial obligations you may have. Your spouse’s finances. Whether your spouse will be able to afford to pay maintenance while still meeting his own financial needs is a factor, also. What are your future plans? Spousal support may end if you enter into another marriage, if your children begin school, if you earn a new degree, or if you experience other life changes. Your standard of living. The court will make adjustments based on the standard of living that you had during your marriage. Your health. This includes your physical or mental health and disabilities you may have, particularly if you relied on your spouse for support due to your condition. Your age is also a factor. 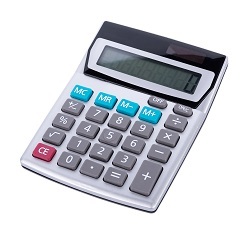 Is it Possible to Calculate Spousal Support? While some states have standard ways to calculate alimony, Washington State instead determines alimony on a case-by-case basis. Still, unless your income and assets are unusually large, you can get a rough idea of spousal maintenance by looking at some simple facts in your marriage. It’s important to realize that the court is not bound by law to only consider these factors. Any relevant factor may be used to determine whether a spousal maintenance award will be granted, as well as the amount of the award. How Long is Alimony Paid? What is an Average Amount of Spousal Support? Temporary maintenance. This type of maintenance award takes effect during a separation period before the divorce is finalized and the marriage is dissolved. It aims to provide a temporary standard of living based on your situation before the separation, and it only lasts until you can make other arrangements for support afterward. Rehabilitative maintenance. When you need time to complete the education or learn skills to support yourself, rehabilitative maintenance payments can help you, although it may be limited based on the length of time you were married. Disability maintenance. If you can’t fully support yourself due to a disability, disability maintenance payments can provide basic financial support. 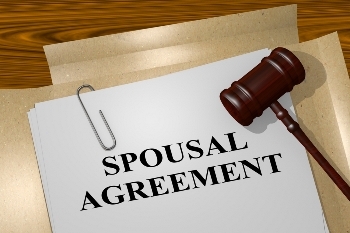 The amount and length of time the agreement lasts may be based on multiple factors, including how long you were married, how long the disability may last, and how much the disability impacts your earning potential. Maintenance may also be granted for other situations, including redress for harm or guilt and compensation for educational assistance. Your divorce attorney can help determine if you may be able to pursue spousal maintenance, and if so, what kind might be appropriate for you. If you have questions about your divorce or spousal maintenance, the attorneys at the Law Offices of Molly B. Kenny can help. Reach out to us by phone, or email us to arrange a private consultation in our Bellevue family law office about your situation. Call us today to learn more about our legal services: 425-460-0550. How will working affect my alimony?